A roll off dumpster is open at the top and "rolls" off the truck. These containers are larger than our commercial containers. They have a large door on the back so you can walk-in your waste. Depending on the size of the container, waste can be loaded from the sides as well. Trash Masters provides roll off dumpster service to the Atlanta metro area. 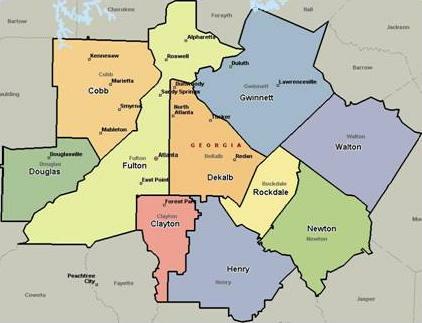 We service all or parts of the following counties: Clayton, Cobb, Dekalb, Douglas, Fulton, Gwinnett, Henry, Rockdale, and Newton. Please call to check if we service your area. We offer 10, 15, 20, 25, and 30 yard roll off containers which can accommodate most jobs effectively. Our roll off dumpster service plan includes the rental of the roll off dumpster for 7 days as well as the removal and disposal of the rented dumpster at your convenience. Let us know the dumpster size you require and the waste you might have so we can provide you a quote when you call.